When it comes to traveling, I love being able to plan. What to pack, what to wear, how the day will go. Add a baby into the equation and planning is a must! On Thursday Nicholas and I are going on our first Mommy and son trip to Seattle. Dad is in school so he's staying in Montana, and Nick and I will be going it alone. We've flown as a family before, but I know that tackling an airport with just my tiny self, baby, and luggage in tow will be quite the experience! I'm a bit nervous but I know we can do it. I'm hoping me and Nick's experience is NOTHING like the one I'm about to tell you about! 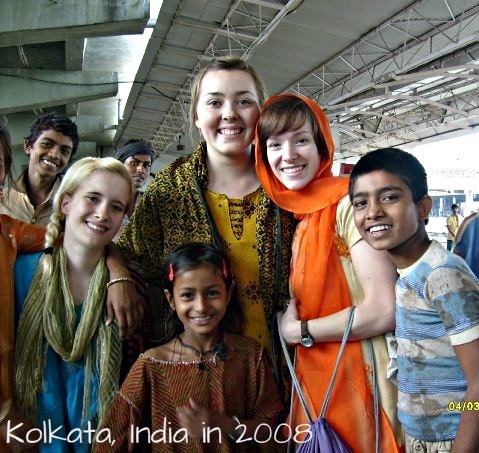 When I was 20, I went on a missions trip through Youth With A Mission to Kolkata (Calcutta) India for one month. Anyone who has traveled to India knows that it can be a shock to your system, especially to a Westerner: lots of unfamiliar sounds, smells, and sights. It's not a bad thing, it just takes some getting used to. There are also about 14 million people in Kolkata, so it's quite crowded. One night our group of 20 (including 4 kids) was traveling by train to a small city about 14 hours away. We each had hiking packs, some had musical instruments, and I was looking after one of my leader's children. Our train was late, which is quite normal overseas (again, not bad, just different.) When the train finally came in, we saw that it was so long that you could barely see from one end to the other. Quickly we realized that a) there were a LOT of people crowding around to try to cram onto the train and b) there were 2 cars marked with our specific ticket number - each car on opposite ends of the train. So we didn't know if we were supposed to be at one end of the train or another. Now in my Western mindset, I would plan for all 20 of us to simply file onto the train and find out which car was ours. Apparently that was not an option. Our team was scrambling, splitting into 2 groups to try to figure out which side of the train we were supposed to be on. I grabbed the child I was "in charge" of and followed her father and a few other teammates. People were crowding around and it was clear that our group was getting split up very quickly. We saw our correct train car, and I literally threw my leader's daughter through the door of the train and jumped on. Her father and another child followed, and it was then we realized that the train was moving. My leader poked his head out of the train door and saw that at least a quarter of our team had not yet boarded the train, including his wife and infant daughter. I'm sweating, people are continuing to crowd in, and our train is moving. My leader quickly yells to me, "stop the train!" So I did what came to my mind: there was a red button in front of me that said "Train Stop." I was still wearing my hiking pack, and the button was much higher than I could reach. I threw off the pack, somehow jumped onto two train seats to get closer to the button, and slammed my hand into it. A few moments later, the train halted to a stop. Craziest moment of my life. The remainder of our group had just enough time to pile onto the train before it started moving again. We settled into our cars (which were packed with people literally from top to bottom) and somehow breathed a sigh of relief. Needless to say, I'm hoping our 90 minute flight will be a piece of cake compared to that! Any tips out there for traveling alone with an infant? 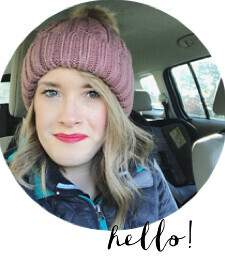 When we get to Seattle I'll give an update and what worked well/didn't, plus I'll share some of the tips that are of the most help to me as we travel! When I flew with Savannah to Texas last May. I packed her in the front back, used a backpack instead of her standard diaper bag and carried the cars eat myself. It was a lot easier. Good luck! Have a great time! when i traveled alone with rachel when she was about 8 months old, i ended up flushing her binkie down the airport bathroom toilet. yikes! luckily i had 2 or 3 spares with me - make sure you have spare binkies! i brought our baby bjorn for the airport so i could do what jessica did. it was easier to have rachel strapped to me and carry the empty car seat than haul that thing around with a baby in it. i also didn't pack diapers and bought them when i got there instead. then i brought the leftover diapers from the pack home with me, if there were any. i nursed rachel while taking off and landing because the swallowing is supposed to help with the ear popping. you can bring some infant tylenol too, just in case he's hurting. also remember that the 3 oz. limitations for liquids doesn't apply for infants. they just have to be "reasonable" sizes. This is an awesome story!! I have a very similar story from my traveling in India!!! We got to the train station in Veranasi at 7pm and waited till midnight for the train. It still hadn't come so we proceded to sleep on the train platform, before this we did an open air because we were waiting and had nothing else to do!! at around 5:30am a student and I went to see if we could find out where the train was. I fell asleep at the place and then woke up at around six, we started walking back to where our team was and we could find any of them.......we were crapping our pants!!! All of a sudden I saw my other leader running around yelling my name and looking for us....the train was already driving away and we just made it onto the train!!! Love the Blog!!! Go to the bathroom before you leave and don't drink any liquids! Changing your baby at the airport is easy, but trying to go to the bathroom yourself without have your luggage stolen beacuse you have left it outside the stall, and without putting your prcious baby on the floor in an airport bathroom is a CHALLENGE! Thanks so much for the travel tips Jess! It went great on the way to Seattle, hopefully the way back will be as smooth! Susan, thank you so much for the tips! That tip about going to the bathroom - genius! I never would have thought of that. Thanks!